Network Video Decoder for easy display of video from IP cameras on big screens. 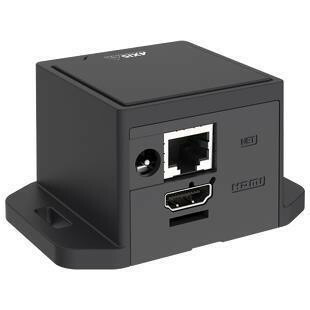 With the 1080p HDMI output, Ethernet input and compact size, it is very easy to setup and use. It can display the video both as sequence or multimode and with the integrated VAPIX support, it automatically finds Axis cameras on the network for plug-and-play configuration.